In these difficult months following the 11 March quake and tsunami, it has been a time for reflection and an opportunity to ponder what the future holds in store for Japan. Some hints of what a better future may look like can be found just a short train ride from Tokyo, in a place called Fujino. This small town, population of just over 10,000, sits astride the Sagami and Akiyama rivers and has a reputation as a hotspot for resident artists and artisans. There is even an interesting blog — in English and Japanese — about life in the town from the perspective of an American resident. Outside of Japan, Fujino is known as the first official Japanese Transition Town and the 100th in the world. It is described as “a progressive community which was home to the Japanese permaculture movement, and is also home to a Steiner School”. Regular readers of Our World 2.0 may recall that we interviewed one member of the Transition Fujino team, Hide Enomoto, back in May 2009. At that time, the Fujino initiative was brand new, having only been recognised officially as a Transition Town from September 2008 onwards. As part of our Transition Japan series, which introduces ideas and people that could help Japan build back better after the country’s triple disaster, we thought it would be a good idea to catch up with Enomoto and see how the work of Transition Fujino has evolved over the past two years. According to the Transition Japan website (Japanese only) there are currently 23 active transition towns in Japan. When we spoke to Enomoto in June, he informed us that this number had just increased the day before the interview to 24. When we think about the consequences of Japan’s disaster, the key aspect of the Transition movement that could be helpful for the recovery efforts in Japan is “resilience”. 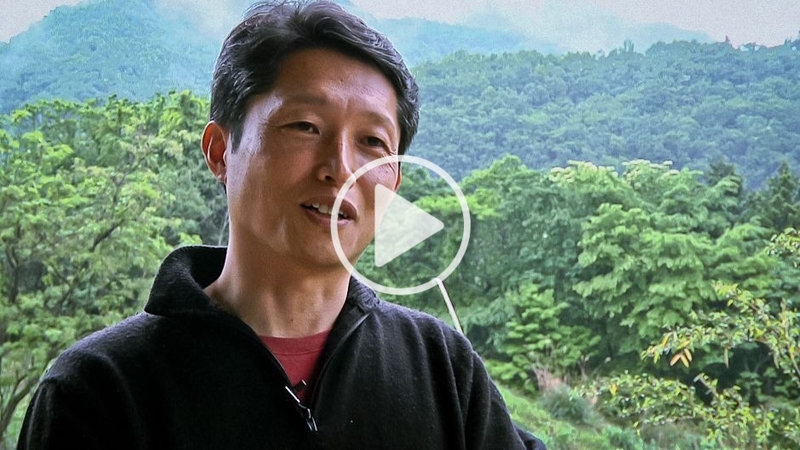 In the video brief that accompanies this article, we asked Enomoto to elaborate on how he understands community resilience and also what lessons we can learn from the experiences of those people affected by the disaster. Like many people in Japan, Enomoto has volunteered to help the Tohoku region, bringing food and other supplies, and he was particularly impressed by the way that the more traditional fishing and farming communities have worked together to overcome these challenging times. He believes that there are lessons for all of us, in Japan and elsewhere, that can be learnt from the people of Tohoku and that may be increasingly relevant in a future where we have to come to terms with the impacts of climate change and peak oil. But as with many people involved with the Transition movement, Enomoto considers that there are many signs of hope with respect to how the people of Tohoku have dealt with these tragic events. They have shown exactly what being resilient is all about — it means helping each other as a community in the face of extreme adversity. Following March 11, things have begun to change in Fujino, and elsewhere in Japan. Enomoto explained how Transition Fujino members have done a lot of thinking on how it may be possible to introduce their own local currency, as found in other Transition communities such as the Totnes and Brixton in the UK. Local currencies are a very effective way to keep financial resources within a community, rather than allowing them to rapidly leak out, say via a national supermarket chain. In light of the ongoing Fukushima nuclear fallout, one idea that came to the fore in Fujino was whether it may be possible for the community to set up and run their own electric power company. It is an idea that attracted around twenty new people into the Fujino Transition team and perhaps the idea will grow to resemble that of the Totnes Renewable Energy Society Ltd which describes itself as an “an innovative scheme to develop the local renewable energy resource under the democratic control and ownership of the local community.” TRESOC Ltd has been set up as a cooperative company devoted to the profitable local development of renewable energy for the benefit of Totnes. Perhaps something similar can happen in Fujino and provide an example of how community responses to peak oil or climate change actually transform into new patterns social entrepreneurship creating jobs and profits for the locality. But one question would be, do small communities have the expertise to run their own energy facilities and overcome the disadvantages and potentially higher costs of running smaller scale infrastructure? There are examples elsewhere in Japan where this is already happening. For instance, with a population of only 7,000, Kuzumaki in Iwate Prefecture which set up the Green Power Kuzumaki Company in 2001. The project involved the development of 12 wind turbines with a capacity of 1,750kW each. This is one of the remarkable consequences of the Fukushima accident. It suggests that communities will need to take greater responsibility for their own energy needs, rather than relying on large monopolies like Tokyo Electric Power Company (TEPCO). It is a small step towards the democratisation of energy decisions. So Japan has been provided with a unique opportunity, now that more people are energy aware, to implement an “energy shift” away from nuclear and fossil fuels. In the absence of national leadership, it will be in communities like Fujino and others that this shift could begin to play out and where the prospects for a better future will begin to take shape. To paraphrase Jeff Rubin, writer on the impacts of peak oil, from hereon our world is going to get a lot smaller as we struggle with ever-increasing energy prices and travel costs. But this means is that we will reinvest in our local communities, take more responsibility for meeting needs locally and creating more jobs closer to home. This emphasis on “local needs” will be very important for the Tohoku region of Japan after the March 11 disaster. The model for rebuilding Tohoku is still under consideration. The current Prime Minister Kan is looking for a blueprint that would involve building back better. But lets hope that this includes building back in a way that reflects the wishes of the local communities and the implications of pressing issues like climate change and energy security. If this can be done, it is truly a chance for Tohoku to get ahead of the game. Enomoto mentioned prior to our interview that the Japanese version of Rob Hopkins’ Transition Handbook — From Oil Dependency to Local Resilience is almost ready. There are likely to be many valuable lessons that can be drawn from the handbook to ensure that the focus is on rebuilding resilient communities. Other valuable books include Peak Oil – Japan’s Plan B published in 2007 by retired Tokyo University Professor Yoshinori Ishii and Escape from Energy Crisis by Junko Edahiro. Perhaps someone could kindly send copies of these books to Prime Minister Kan and to those involved in the planning for the reconstruction of the Tohoku region. They could prove useful in enhancing the 25 June 2011 recommendations (in Japanese only at this point) from the Reconstruction Design Council in Response to the Great East Japan Earthquake. Our World 2.0 will undertake a more detailed assessment of the Council’s recommendations in a later article. For now, it is interesting to see that the recommendations refer to the need to build smart communities and smart villages that integrate renewable energies (wind, biomass, solar), battery technologies and electric vehicle systems. If the recommendations are implemented, they could ensure that the local communities affected by the tsunami will be both safer in the future from similar natural disasters and potentially more resilient in the face of future energy shocks. Transition Fujino — Prospects for a Better Future by Brendan Barrett is licensed under a Creative Commons Attribution-NonCommercial-ShareAlike 3.0 Unported License. Can anyone tell me where to purchase the plastic disposal machine that turns plastic into OIL. This is a great idea for anyone to purchase and make his/her own oil to use in cars. This is really promising. It’s great to learn about Fujino and the growth of Transition Towns in Japan. I do hope that in addition to the smart community and smart village attributes listed in the final paragraph there is (or will be) explicit inclusion of satoyama principles.